With over 2,000 hours of painstaking research and countless renderings, the landscaping firm of John Charles Smith & Associates of Far Hills is preparing to release their latest effort, a historic look back at the history of Bedminster Township. The rendering highlights historic property lines, roads, buildings, and even the lost Pluckemin Artillery Park, home to America’s first military training academy. While the new map states it covers ownership from 1893-1939, there are obvious land markings that go back to the early 18th century. 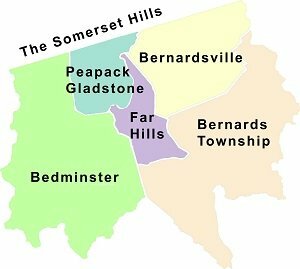 Peapack and Gladstone are part of the effort since those towns were still part of Bedminster Township until March 28, 1912. While the map should be completed over the next few months, the final product should be released sometime in the Fall of 2011. On a lighter note, when asked why 1939 was the representative end date, Smith noted that was the date when the Catholic Church was built in Peapack/Gladstone. “You just couldn’t leave out the Catholics,” noted Smith with a chuckle. For those who don’t know, the Vanderveers were one of the original settlers to the Bedminster area. 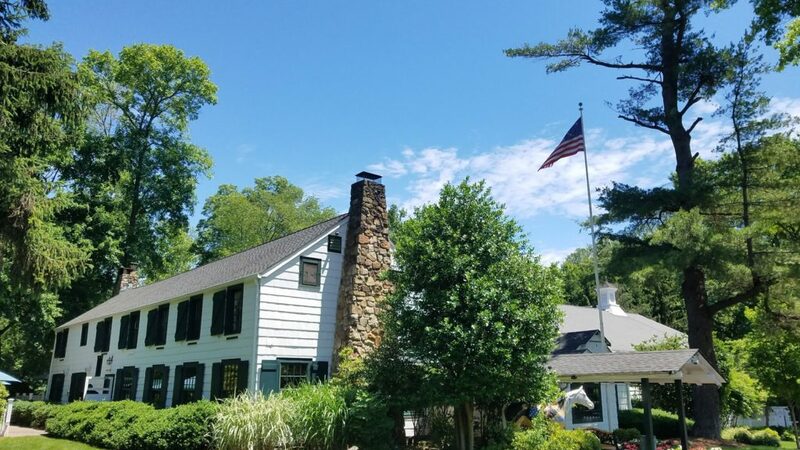 The Vanderveer legacy to the Pluckemin area began when Jacobus Vanderveer made major purchases along the east and west side of the North Branch of the Raritan River in 1743. At that time he purchased 439 acres on the east side from Lewis Johnston and his wife Mary, a large landowner in the area. At approximately the same time he purchased a large tract of land on the west side of the Raritan River from Major Daniel Axtell. It was during the winter of 1778/1779 when the American soldiers of the Continental Artillery under the command of General Henry Knox spent the entire winter in Pluckemin. While General Henry Knox stayed at the Vanderveer House, over 1,000 Continental Artillery officers and soldiers built the famed Pluckemin Artillery Cantonment. 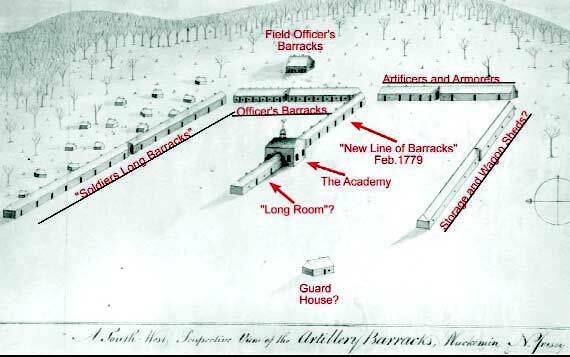 It was there where General Knox formed the Pluckemin Artillery Academy, America’s first military training facility. 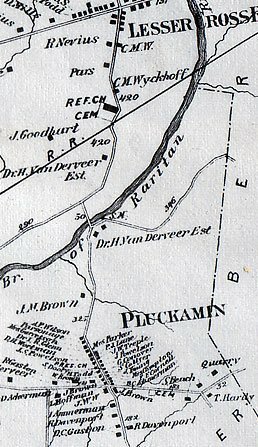 A draft version of the map including the Vanderveer property highlighting the lost Pluckemin Artillery Cantonment area is currently on display at the Jacobus Vanderveer House in Bedminster, New Jersey. While the effort to create the drawings and images has taken over 2,000 hours at a cost over $80,000, Smith couldn’t go it alone. “You see, this is an effort that takes years to create and confirm. I have to put it down sometimes and pick it up later. It can get quite frustrating trying to put all of the pieces together.” In addition, John had the help of his landscape architecture group assisting the effort when they were in-between client engagements. Landscape Architect Brian Hirsch, along with Susan Roessner, Christopher Hewitt, and Sandra Wordsworth all had a hand with the effort. This isn’t the first time Mr. Smith has created a historic rendering of the area. The Bedminster/Pluckemin rendering is his second effort that followed his historic map of the Somerset Hills (Released in 2008). “This project was way more complicated then the Bernardsville Mountain Map we did a few years ago.” Smith is referring to a previous project where his team created a beautiful rendering of the historic estates of Bernardsville, New Jersey. 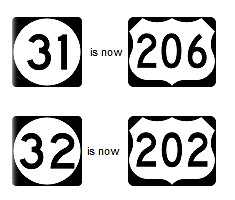 Smith noted that the effort took three to four times the effort to create the Bedminster rendering. John and his team also won a prestigious Somerset County Historic Preservation Award for the effort. 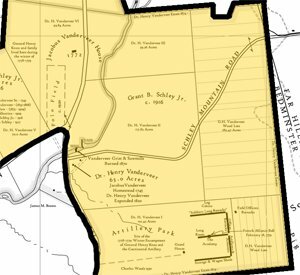 The 2010 award for educational endeavors related to the county’s history went to John Charles Smith of Far Hills for his “Map of the Somerset Hills 1893-1939. The rendering will be produced as a large lithograph on beautiful heavy stock with dimensions about 3 feet by 5 feet. The map’s scale; one inch represents 1,000 feet, so the map shows incredible detail including previous streets, property owners, building locations, and historic representation of areas that have been lost over time. “I can’t tell you how much research goes into a project like this”, noted Smith. 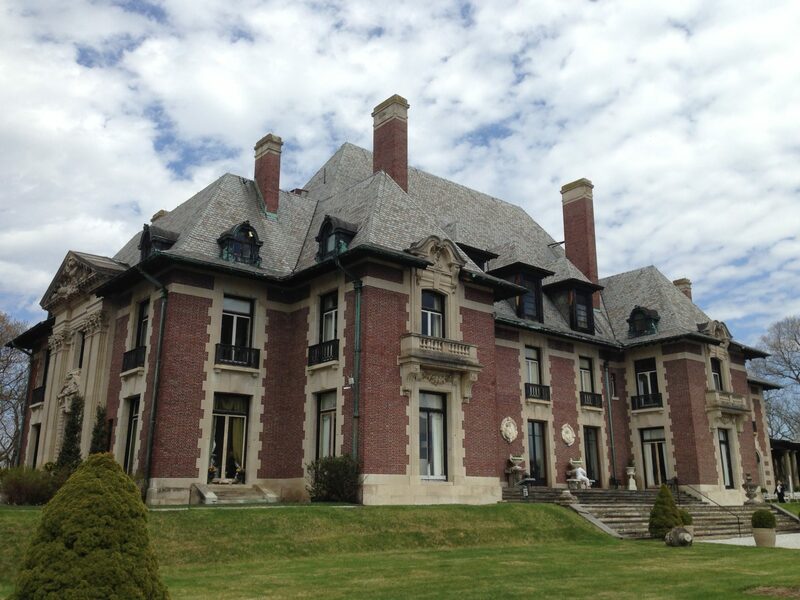 John Charles Smith has been involved in many historic organizations in the area including; Chair of the Peapack Gladstone Historic Preservation Committee, Trustee of the Historic Vanderveer/Knox House, Trustee of the Maculloch Hall Museum, and member of the Historical Society of the Somerset Hills. His firm, John Charles Smith & Associates was established in 1965, the firm has completed designs for many public gardens, commercial landscapes,and hundreds of residential projects including many historic estates, farms, woodland gardens and country homes. The firm has won national awards from the American Society of Landscape Architects, has been recognized for numerous ASLA Chapter Awards for design excellence, and received several accommodations from the prestigious Perennial Plant Association. Several of the firm’s constructed projects have been published in notable design magazines including Landscape Architecture, Garden Design and Architectural Digest; and other projects have appeared in several books on Garden Design and Landscape Architecture. Its founder and principal designer John Charles Smith is a member of the ASLA and operated his own practice for over 46 years.